"WHITE MAN SPEAK WITH FORKED TONGUE!" During the Civil War, Stephen Cook (Lyle Bettger) is a horse dealer and the biggest one around. 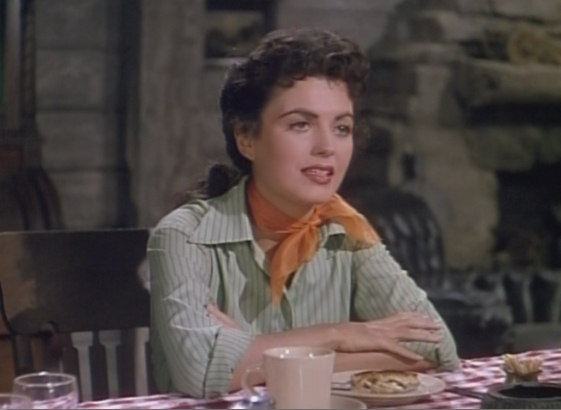 He'd like to merge with another dealer, Joan Britton (Faith Domergue) and crush his other competitors. The reason he's the biggest horse dealer around is that he steals his horses from the Indians and gets top dollar for them from the army. But Southern general Stand Watie is rumored to be in the area to stir up the Sioux against the Union, and Cook picks this worst possible moment to steal a herd of Sioux horses which threatens to put the tribe and the warpath! 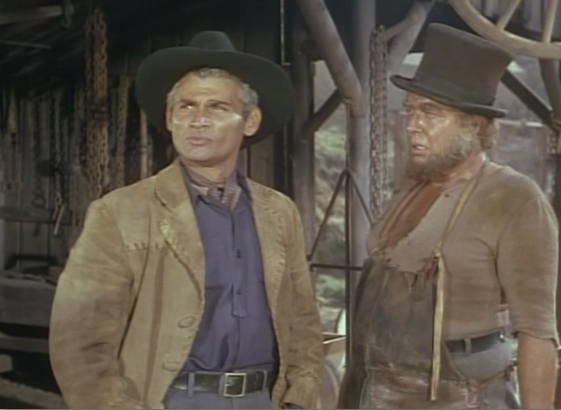 Enter ex-army doctor Jonathan Westgate (Jeff Chandler), who becomes Cook's rival for the love of Joan, and also opposes his crooked activities...and he alone can prevent a new Indian war! Directed by Lloyd Bacon and collectively written by Melvin Levy, J. Robert Bren and Gladys Atwater - starring Jeff Chandler, Faith Domergue, Lyle Bettger, Peter Whitney and Stacy Harris. The grand title sadly doesn't match what is actually put on screen, since Bacon's film is more a thinker than a thugger. 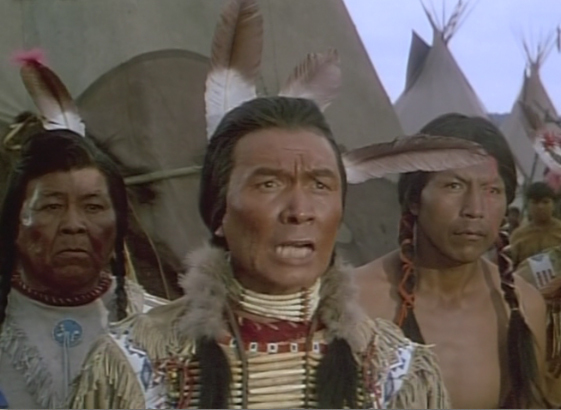 That doesn't mean there isn't a lot here to like, however, as the anti-racist themes coupled with undercurrents involving the false deals laid at the Native American's doors keep the pic interesting and cerebral. 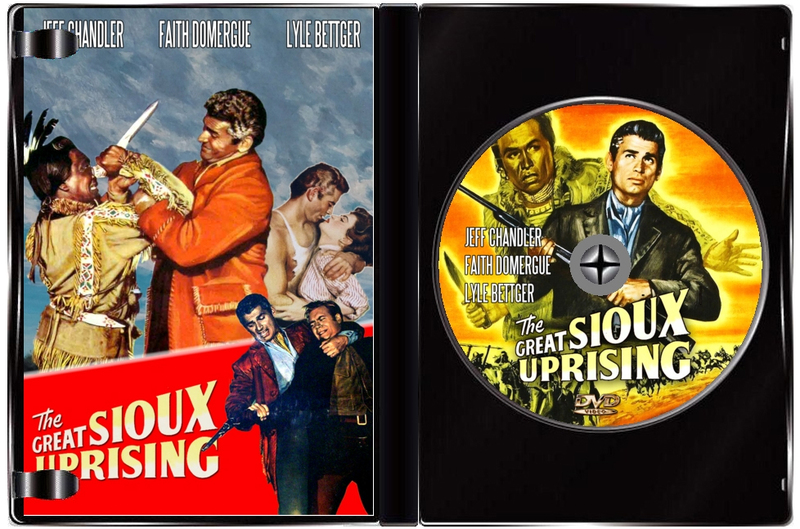 This is one of those very rare films of the period where the mistreatment of Native Americans is put front and center. There are moments of muscular brawn and bravado, while the Oregon locations and Technicolor photography (Maury Gertsman) provide pleasing surroundings. 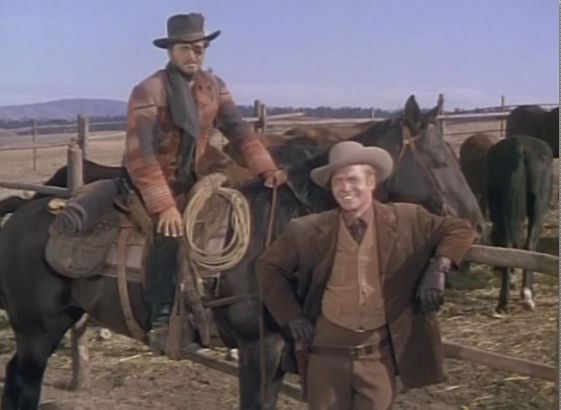 Chandler and Bettger are in roles for which they were known and suited, and Domergue is radiant. Whitney and Harris deliver good foil as stoic friend and unscrupulous fiend respectively, while John War Eagle and Glenn Strange offer up a firm backbone in the secondary support slots.